Ten years after the Great Recession, the managing partner of the Fort Lauderdale—based company talks about the lessons he learned from the downturn. Fort Lauderdale-based BTI Partners began in the late 1950s when Noah Breakstone’s father, Arthur Breakstone, founded the Breakstone Group, a local residential developer, hotel operator, and real estate investor. Noah took over management of the company in the early 1990s and intended to grow the company into one of Florida’s premier luxury home builders, multifamily developers, and strategic land investors. Unfortunately, the economy collapsed in 2008 and in turn, Noah had to ensure the goals of the family business stayed on track. BUILDER spoke with Breakstone over email to get additional insight on the tactics his company used to survive the Great Recession, the lessons he took away, and what he is doing to prepare in the case of another economic downturn. Tell us a bit about BTI Partners—what types of projects is it involved in? Currently, BTI is developing several real estate projects across Florida and aggressively pursuing new opportunities across the southeastern U.S. 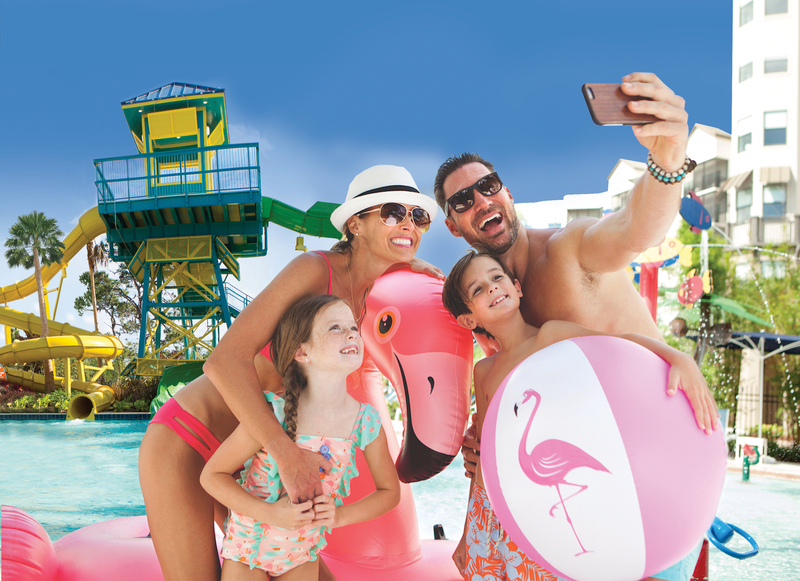 The Grove Resort & Waterpark in Orlando, Fla., is one of the largest new condo hotel developments in Florida and is anticipated to generate over $300 million of sale revenues over the next few years. A driving force behind our strategy has been creating great amenities, including a $20 million water park, multiple on-site restaurants, and a state-of-the art game room. The Grove is transforming the area west of Walt Disney World and is attracting buyers from all over the world, including Canada, South America, Europe, and China. In Tampa, BTI Partners is the master developer of a 52-acre mixed-use, waterfront community in south Tampa known as the Westshore Marina District. We acquired the site shortly after the last recession and were able to transform it from a heavy industrial neighborhood to a robust, vibrant mixed-use development. The pinnacle of Westshore Marina District will be Marina Pointe, three luxurious condominium towers that we are building will become 345 residences and a 150-slip full service marina. The first tower, which is 115 units, is more than 50% reserved and our sales office just opened in May of this year. We are also partnering with a local home builder to develop Arbor Parc, a new gated community comprised of 500 lakefront homes and townhomes located in the heart of Palm Beach county. With prices starting at $250,000, we are bringing a quality product at an attainable price to first-time home buyers who have been priced out of the south Florida market. How did the recession transform you and your company? This September will mark the 10-year anniversary of Lehman Brothers collapse, the first domino to fall in the Great Recession. Looking back, it’s interesting to see how the recession reshaped America’s real estate market and ultimately transformed BTI Partners. We were able to reinvent our company, using creativity to breed opportunity. BTI quickly transitioned from being a mid-size developer to becoming one of Florida’s largest owners of ready-to-build land, with over 10,000 acres and over 15,000 residential lots. Shortly after the economy collapsed in 2008, BTI began acquiring distressed Community Development District (CDD) bonds in Florida. CDD bond proceeds are used by builders to fund infrastructure work of large-scale residential developments. As builders defaulted on their bond payments, BTI and its institutional investors were able to take title to, or control of, over $700 million defaulted CDD bonds that were secured by the underlying real estate. After the market stabilized, we exited these investments, as national home builders aggressively pursued ready-for-build land. What are some of the lessons you learned from the last crash and how are they preparing you to mitigate the next market correction? The recession gave us a unique opportunity to become more entrepreneurial. We learned that you must react quickly in a turning market. It’s important as a developer and an investor to be ahead of the curve, constantly seeking out new opportunities created by changing markets has been the key to our success. When the market came back, all eyes were on Miami. Our primary focus was on Orlando and Tampa, two growing markets where we continue to see significant population and economic growth. In south Florida, there is a lack of attainable homes in terms of pricing for first-time home buyers. Our project, Arbor Parc, addresses this market opportunity. As this real estate cycle comes to an end, we have positioned ourselves to acquire development sites across the southeastern U.S.
Do you see distress on the horizon and what type of acquisitions are you pursuing now? This cycle is unique. The economy has recovered but the housing market is still lagging behind. The number of housing starts in the U.S., which includes both single and multifamily housing units, has averaged approximately 1.5 millionannually over the last 50 years. During the recession, this number plummeted to just over 500,000 and just last month approached the 1.35 million level. This prolonged reduction in starts has put significant pressure on the existing housing stock and as a result, caused home values to skyrocket. With that said, I’m bullish on the housing market and that’s why we are looking to acquire more land across the southeastern U.S. Specifically, we are looking for large tracts of land suitable for production home building in the markets with the strongest population, job, and income growth. BTI is looking to acquire unentitled land with favorable underlying zoning where development is expected in three to five years.